The MSU-Hurley Children's Hospital Pediatric Public Health Initiative's Nutrition team works with many partners to advocate for, implement, and assess pediatric nutrition interventions to improve nutrition access, education, and consumption. 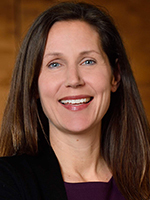 Amy Saxe-Custack, Ph.D., MPH, RDN, Assistant Professor of Food Science and Human Nutrition at MSU, currently serves as the Nutrition Director for the Pediatric Public Health Initiative. A long-time resident of Genesee County, Dr. Saxe-Custack is dedicated to the evaluation and expansion of nutrition programs that target children and families living in Flint, with a particular focus on improving access to fresh foods. Much of this work has been initiated in partnership with the Flint Farmers’ Market (FFM) and Hurley Children’s Center (HCC) to examine the impact of an innovative fruit and vegetable prescription program for pediatric patients. Through a recent grant award, Dr. Saxe-Custack will work with partners to expand both the fruit and vegetable prescription program and Flint Kids Cook. Mallory Miller Goldsworthy, MPH, currently serves as the Nutrition Program Coordinator for the Pediatric Public Health Initiative. 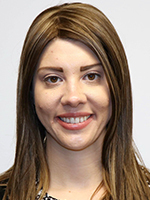 Ms. Goldsworthy is a dedicated public health professional with nearly 10 years’ experience managing and facilitating nutrition programs throughout Flint. Ms. Goldsworthy believes in the importance of high-quality evaluation to inform public health programs and address food insecurity. Her work specifically focuses on the management and expansion of Flint Kids Cook.